Which business failures lead to headaches and heartburn for contractors. What reasons are most often given for why contractors go out of business. How to overcome and resolve the red flags in your business & set yourself up for success. 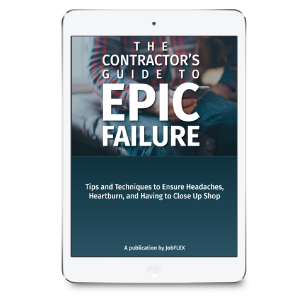 Fill out the form below to download The Contractor’s Guide to Epic Failure and discover how to safeguard your business from the most common failures experienced in this industry.